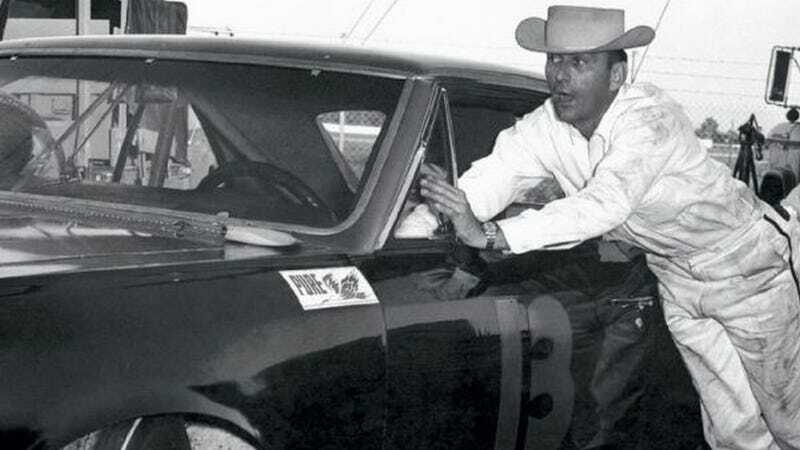 There was a time in the early days of NASCAR when creative thinking and unfair competitive advantage was taken seriously as part of the outlaw nature of the sport’s history. My parents always told me that cheaters never win, but in NASCAR they did. Frequently. With NASCAR de-incentivising cheating, finally, the hope is that nobody will cheat anymore. Unfortunately, the more cookie-cutter the race cars have gotten, some fans have found the racing itself to be less interesting. One of my favorite absolutely deliberate cheats was Darrell Waltrip’s lead shot filled frame rails. Before the car rolled across the scales, the team would pack the frame rails with lead. Then, during the race he would pull a string to open a trap door and the lead shot would escape on the back stretch, away from the prying eyes of series officials. Chatham Harrison wins COTD for bringing us back to all of the old days of creative cheats. Congratulations on your victory. I hope you didn’t cheat.